Summer Social 2010: Bringing Out The Best Of NEW New York! Orange Juice and Biscuits had co hosting duties along with YOUAREONTHELIST.com for Summer Social 2010 on June 29, 2010 to celebrate the Launch of NH Media! The event was a huge success bringing out the best of the best in public relations, social media, entertainment, and New York City social life. Cult Studios was the perfect location for this event with enough room to have tons of fun things going on, and let me tell you that there was plenty to do that night! Upon entry, each guest was given a Brazilet for good luck. I love Brazilets. I feel they are the perfect thing to have when starting a new beginning. 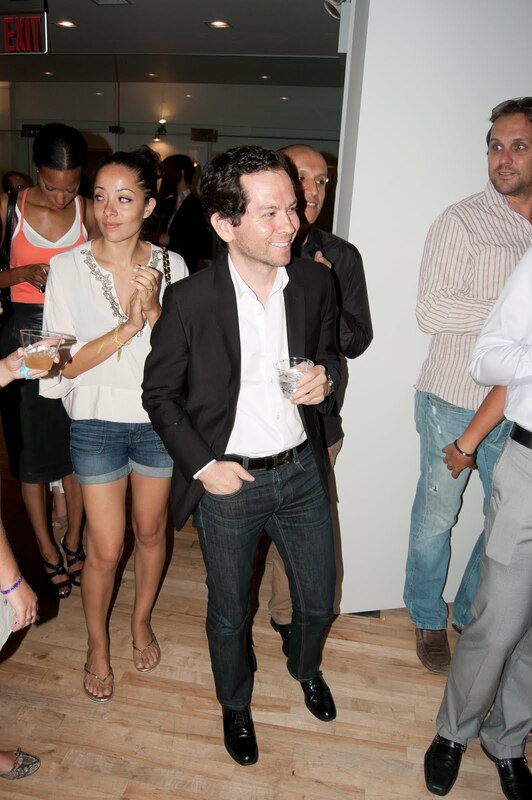 Guests mingled while sipping on Oro Tequila, 1947 Beer, Honest Tea and One Coconut Water. Q Events provided gourmet hors d’oeuvres, including a spectacular chocolate fountain with 15 toppings!! O.K. I HAVE to talk about the food! Sometimes party food is hit or miss but Q Events got it right EVERYTIME! Each tray that passed by was even more delicious than the one before. The chocolate fountain was so much fun and the toppings were so good. Thank you Q Events for providing the well needed food! The Village Scandal brought unique hats and headwear for guests to try on as Boulevard Magazine snapped festive and fun photos. I have to say that this was such a fun idea! 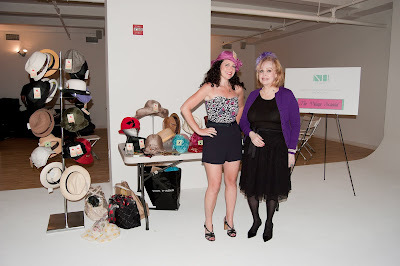 My fab skimmer hat that I wore to Summer Social was courtesy of The Village Scandal located in the East Village. I had so many guest come up to me and rave about how much fun the hat photo shoot was. What is a party with OJ&B without photo shoots a go-go? 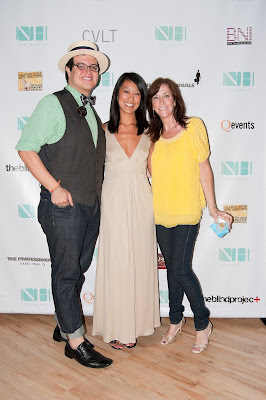 NH Media and OJ&B's guest have to always feel super glam! 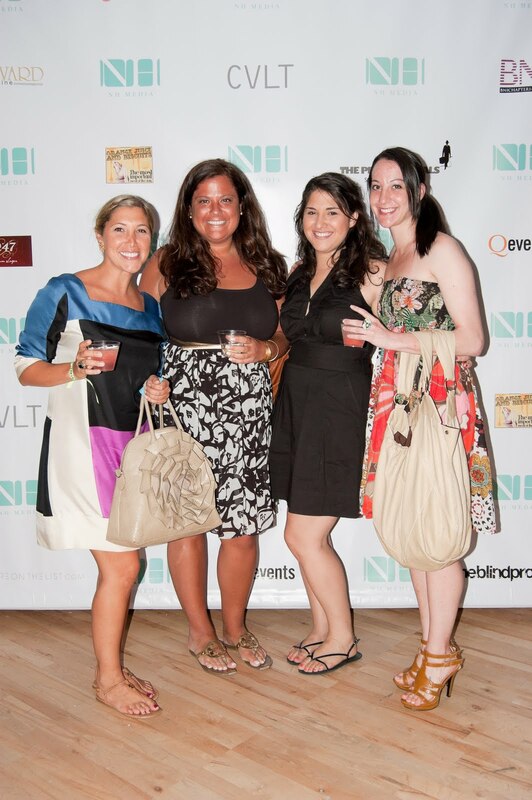 Above: The lovely ladies of The Village Scandal providing fun for all at Summer Social 2010! PLEASE Check out The Village Scandal in the East Village. The hats are superb! An interactive Twitter Waterfall projected a live stream of tweets about Summer Social 2010. You know I loves me some Twitter so we had to have a screen for people to shout out to each other, be silly and say what they wanted about the event! The best thing about having a fun celebration is when you can also give back. Summer Social raised over $800 that will be donated to The Blind Project, an organization that facilitates the rescue and rehabilitation of trafficked women in Southeast Asia. To raise awareness about its cause, The Blind Project had guests create art that reflected their emotion upon reading touching stories from survivors. Thank you to everyone who donated! What is a party with out amazing people attending it? I want to personally thank each and every one of you for coming out to Summer Social 2010! Let's see who showed up at the social! Above: Designer and friend, Rolando Santana, looked great at the social! He is the one responsible for the amazing dress that made Natasha look so good all night! Above: The Women of MSG Entertainment. They are the best! 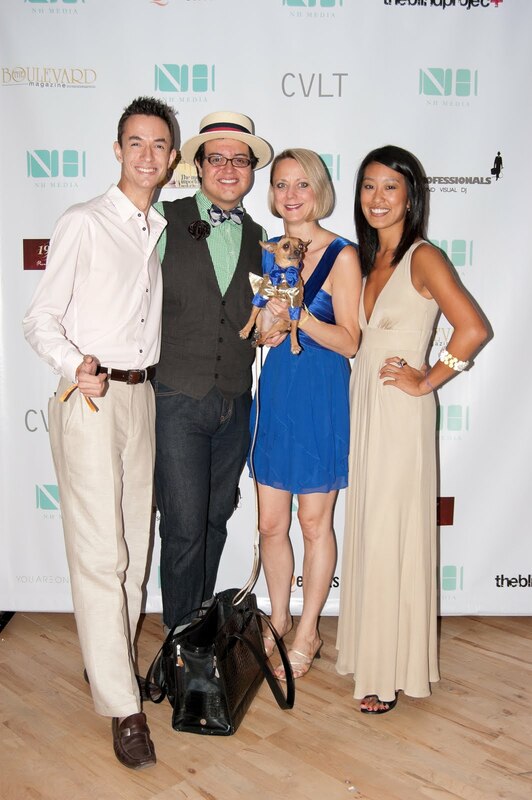 Above: Celebrity Magician Matt Wayne and Karen Biehl with Eli the Celebrity Chihuahua. Above: From L to R Rachel Bernstein, Carly Henderson, Joe Hodges, Emily Wade, Jonathan Valdez, Michelle Joni Lapidos, JD Breen, Kim Weber and Laruen Rich. I cannot thank everyone enough for coming out to support! Once again Thank you to the talented Rolando Santana who created Natasha Huang's neutral-colored floor-length maxi dress and to The Village Scandal for my amazing skimmer hat. 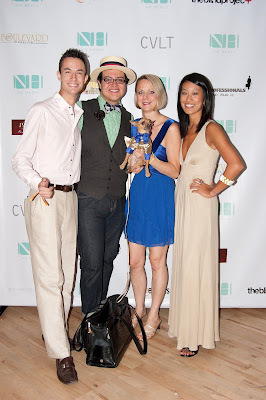 Also to FineandDandyShop.com for providing me with my silver and charcoal blue silk striped bow tie. Another huge thanks to all of the Summer Social 2010 sponsors by Q Events, Cult Studios, The Boulevard Magazine, BNI, Honest Tea, 1947 Beer, Oro Tequila, The Professionals, Brazilets, One Water, Pop Chips, The Blind Project, China Glaze, Tarte Cosmetics and Jen Chu Design. Be sure to check out more pictures from Summer Social here!